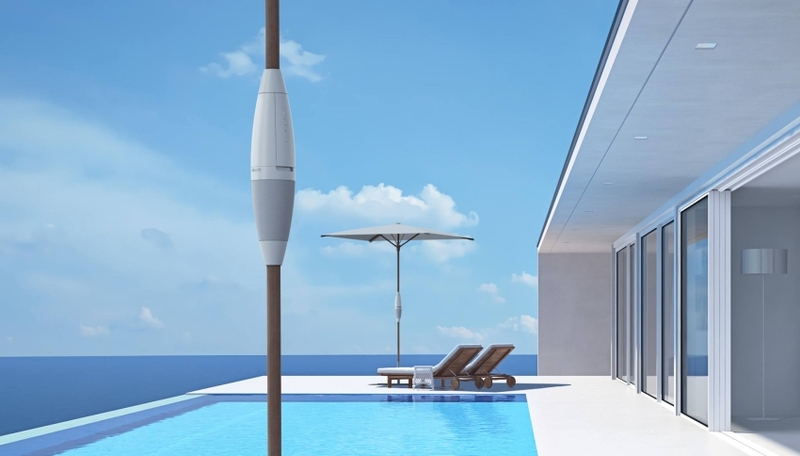 ShadeCraft has created a smart attachment for an outdoor patio umbrella which lets users control it using voice commands. 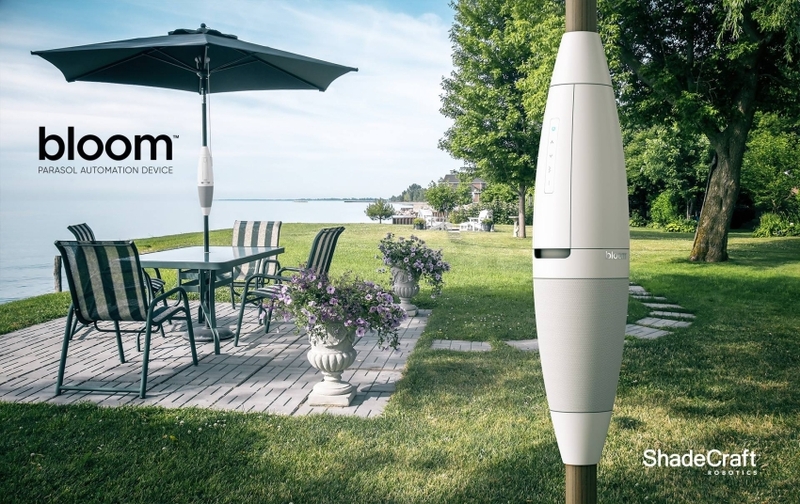 Dubbed Bloom, the attachment works with any patio umbrella (crank or pulley-style closure), facilitating it be controlled from anywhere with an app. It also has support for Amazon Alexa voice assistant which makes it even more lucrative buying option. As already mentioned, ShadeCraft’s Bloom works with all mass market patio umbrellas, but to be precise it is recommended for ones having 1.2-inches to 1.5-inches pole diameter. 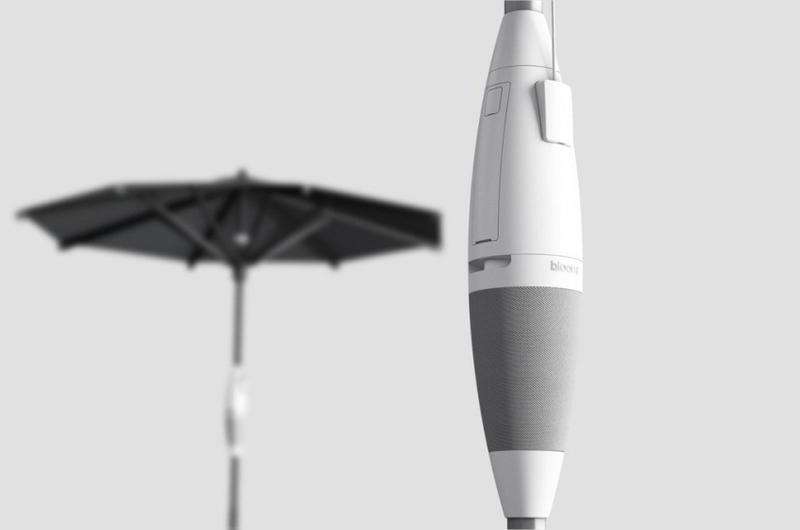 Going with its smart features, the attachment opens or closes the umbrella based on the weather condition. This is done via the internal wind sensor which closes the umbrella. For entertainment, while you enjoy your time in the shade, it has embedded Bluetooth speakers. Also, there’s a USB charging port to keep your devices juiced when needed. Bloom will also have the feature to connect with other smart home devices to act as an outdoor hub for connected living experience. Combined with the voice-controlled functionality, this is going to be a must-have accessory for people who like to spend a good chunk of their time outdoors. To charge up the smart device, there’s a separate hub which preferably should be kept indoors. When you need to recharge Bloom, just attach the charging hub to the device. ShadeCraft had earlier come up with Sunflower patio umbrella which is capable of automatic 360-degree movement to protect the person underneath from the sun’s rays. As compared to Bloom which is an attachment for your existing umbrella, Sunflower is a full-blown parasol. People who’ll preorder Bloom until February 28 for a price tag of $399 will receive a free parasol when it ships in summer. From March onwards, the accessory is going to cost around $459.